The gallery above via Flickr user Liz Phung shows more shots from the launch in Beijing. There are also two images of employees receiving their first shipments at China Unicom in Wuxi, east China’s Jiangsu Province (via xinhuanet). It is just over 8 hours before the iPhone 4S officially lands in China and huge lines already starting to form outside of Apple Stores in Beijing and Shanghai. The image below is from Instagram user Sanverde who noted he snapped the shot outside an Apple Store in Sanlitun Village, Beijing less than an hour ago. As you can see from the daytime image in the slideshow above (posted by Twitter user Alexander Galimberti on Jan. 10), Beijing line sitters started showing up for tonight’s launch days in advance. 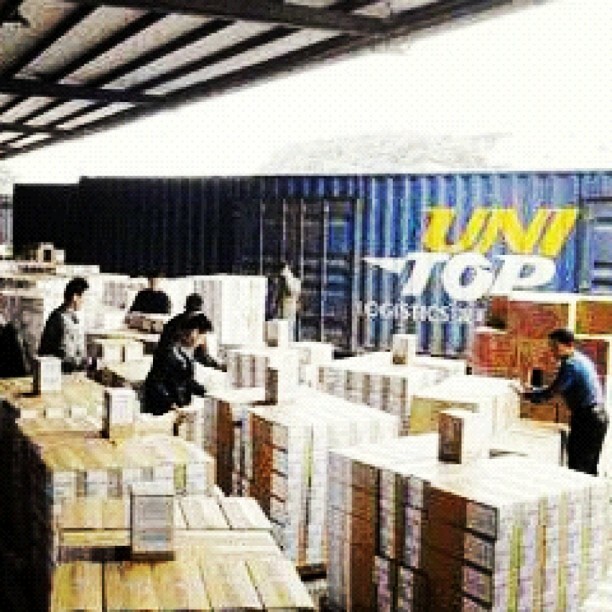 To the right is an image from Instagram user sainasilverman who says 400,000 units of the iPhone 4S have now arrived in Beijing. China Unicom, the only carrier currently offering the iPhone 4S, does not currently accept pre-orders, but it will be offering the 16GB and 32GB models free on two- and three-year agreements. China Telecom, the nation’s third largest mobile carrier, is also expected to offer the iPhone in the future. The device recently received necessary approval from the China Radio Management agency for use on its CDMA network. Check out the most recent shot of the lines outside the Sanlitun Village, Beijing Apple Store after the break and some more shots of gray market line sitters wearing red hats. 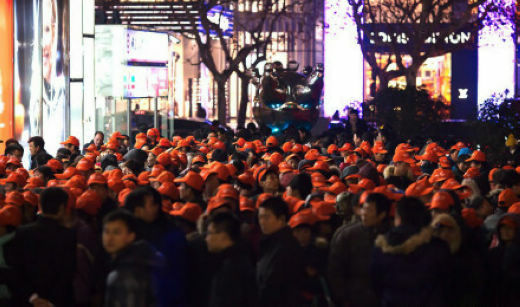 According to MIC Gadget, those wearing a red cap have been paid 100 yuan ($16) to line up for the 12+ hour wait. We will be updating with more shots, so email your photographs of the lines to us at tips@9to5mac.com.